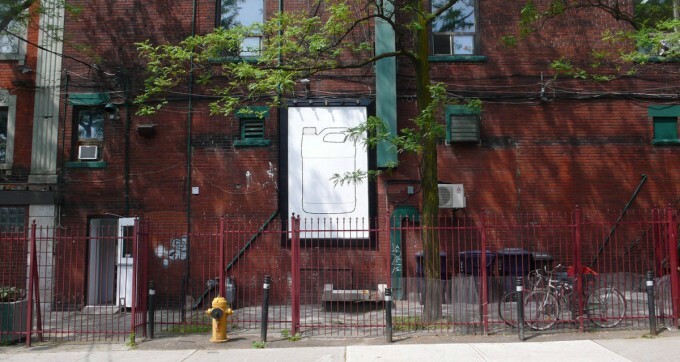 Mercer Union’s side billboard space presents a project by James Carl. The work relates to the artist’s book Content 1.0 co-published by Mercer Union and Art Metropole. Content 1.0. stakes the materially indispensable against the graphically insignificant. The black and white drawings are taken from an ongoing series of disposable product containers rendered in a variety of conventional, generic drawing styles. The artist has been rotating the drawings over the course of the summer, the third iteration will be visible this fall.